The colors of fluorite are very pictorial and pleasant for the eye. The fluorite mineral can combine many shades of various colors, but mostly purple with white, or purple with green, or sometimes, green, yellow or gray. This stone works on the mental level by amplifying our thought processes. It can be used to increase the ability to focus and concentrate. Fluorite properties are related to the spheres of the mind and spirit. Fluorite aids mental clarity, increases the life force and balances both hemispheres of the brain. It increases the ability to concentrate, balancing the positive and negative relationships of the mind. It helps one to see both reality and truth behind illusion. It can help get rid of mental blocks and similar mental issues. Its accentuated mental influences help in our quick organization and processing of information. It brightens our mental capabilities, our stability and clarity. It absorbs negative energies from our environment, cleanses the aura and the chakras, at the same time protecting us from psychic manipulations. 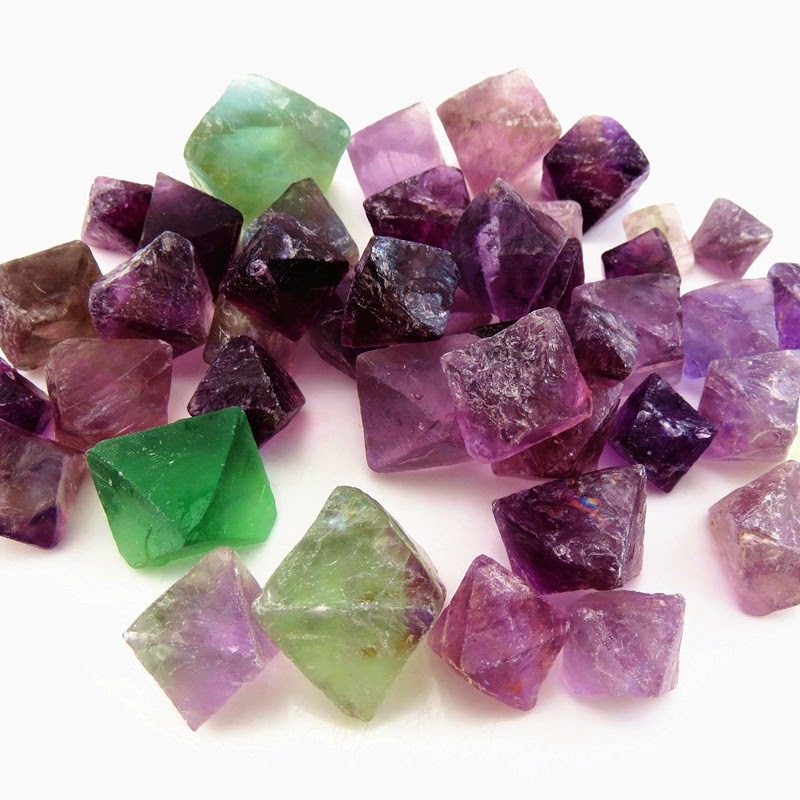 Fluorite strengthens the users analytical abilities and ability to concentrate. Excellent for advancement of mental powers, greater concentration and meditation. It helps one to grasp higher, more abstract concepts. A terrific stone for college students, and researchers who need to analyse data and reach conclusions. Fluorite is said to absorb and neutralize negative vibrations. This is the best crystal to use to overcome any form of disorganization. It negates disorganization, disruptive behaviour, desperation, depressions, and anger. Fluorite is used to purify and detoxify both the spirit and places. It is often recommended to be placed around computers and the workplace to reduce stress and relieve negative forces. I have collected many authors books so it has been written form many books.